Lancôme has launched La Vie Est Belle En Rose, a new flanker to 2012's La Vie Est Belle. La Vie Est Belle En Rose is described as a 'fresh and luminous' fruity floral with red fruits, rose, peony and sandalwood. 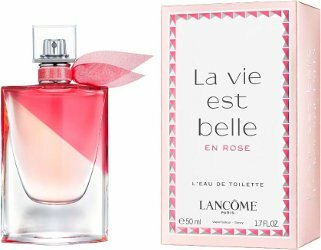 Lancôme La Vie Est Belle En Rose is available in 50 and 100 ml Eau de Toilette. La Vie En Rose would have been a better name!